The Boy Scouts of America, Grand Teton Council now offers its properties, equipment, experts, and program for use by LDS stakes and wards. 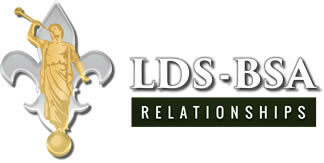 As part of the 100+ year partnership between the Church of Jesus Christ of Latter-day Saints and the Boy Scouts of America, LDS Stakes and Wards may utilize these BSA resouces to accomplish their objectives and control their own outcomes. Prices and programs are customizable to fit church interests at any of our Council properties.